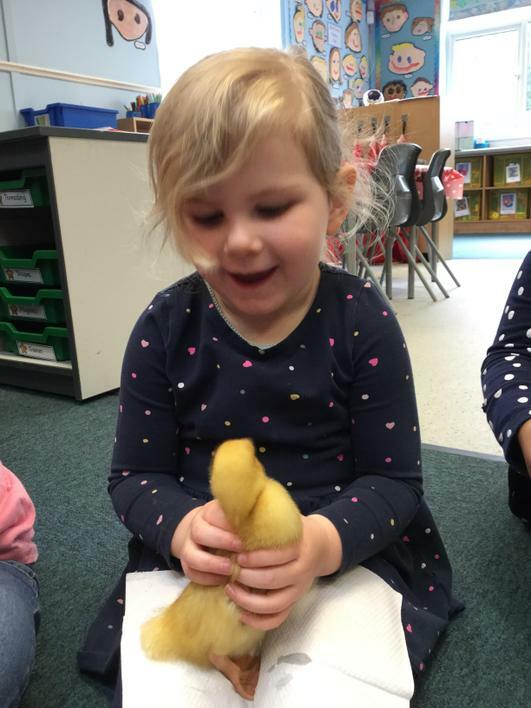 On Tuesday 12 March, a Farmer came to visit Nursery. He left 5 eggs for us in an incubator! We had a guess at what might be in them. 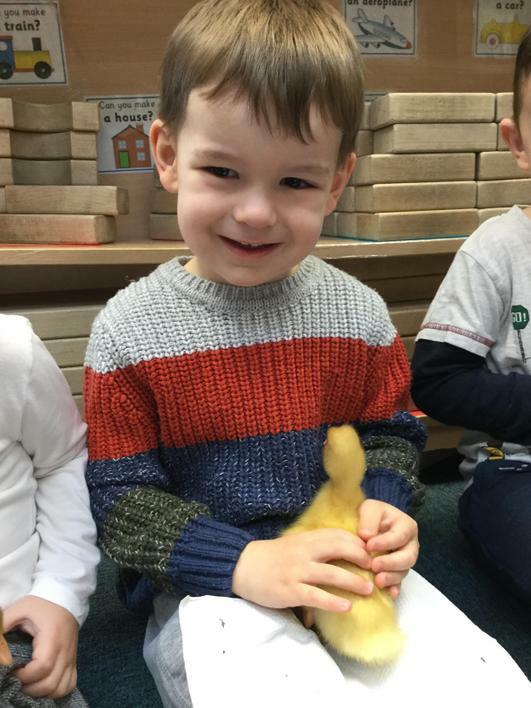 Some of us thought there would be a chick or a baby bird and some of us even thought a crocodile might hatch! 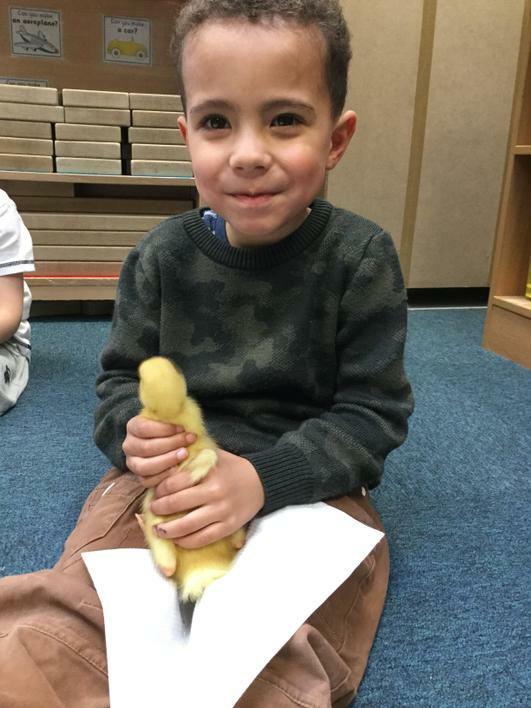 We saw an egg start to crack open and when we arrived at Nursery the next morning, a baby duck had hatched! We were so excited. Very quickly all the eggs started to crack and hatch. We then had 5 beautiful, fluffy baby ducklings. 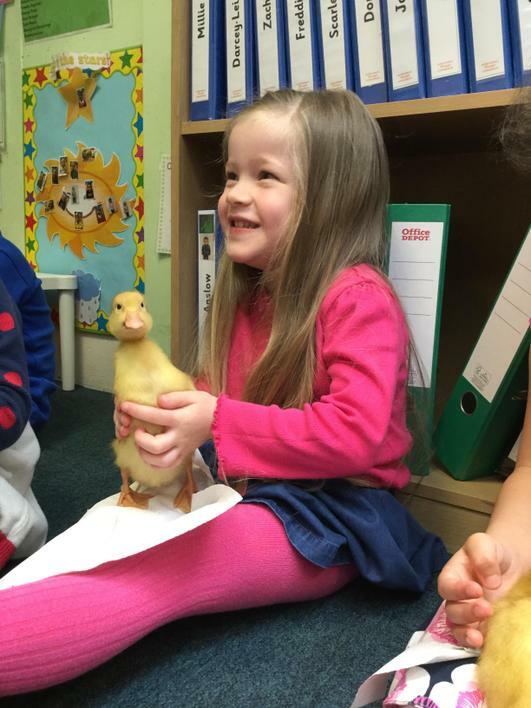 We cannot wait until next week when we get to hold them and put them into their paddling pool for the first time. 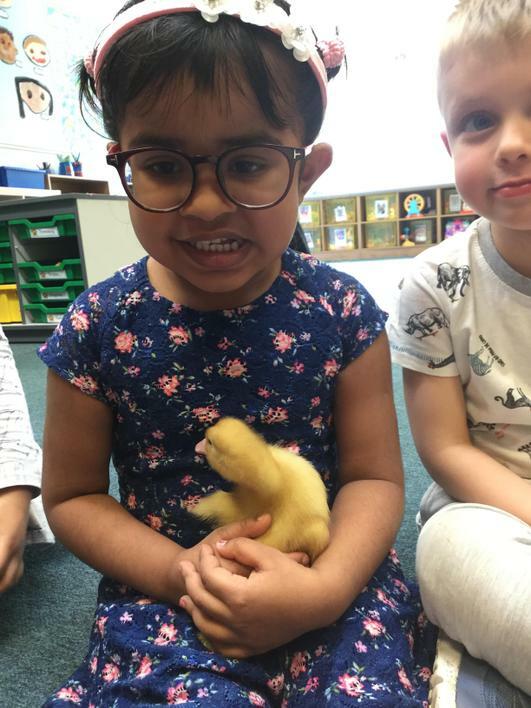 After spending the weekend at Miss Cowley's house, the ducklings were much bigger and reday to go into their paddling pool for the first time. We were so excited! The ducklings loved their swim and soon became very confident in the water. 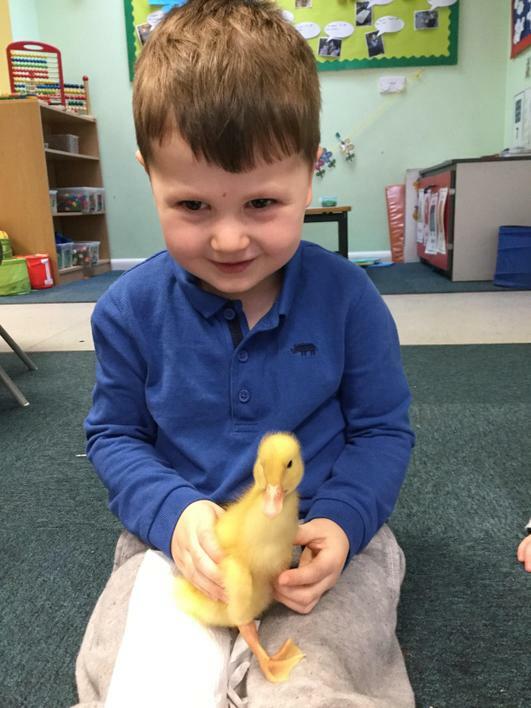 We then got to hold the ducklings for the very first time. 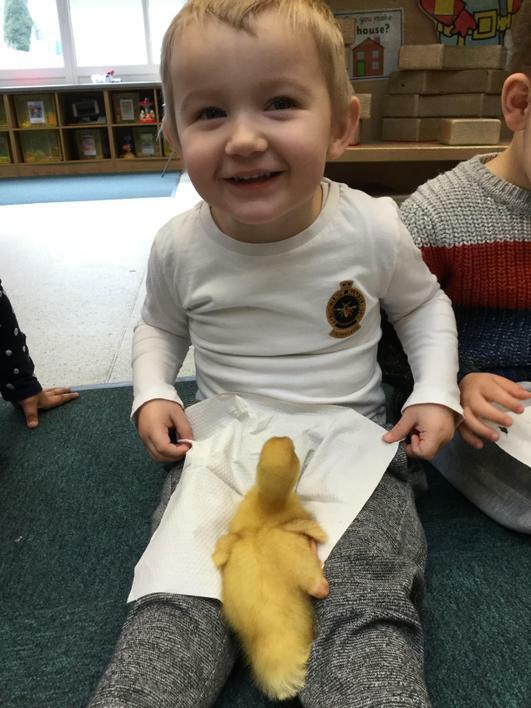 They loved having cuddles off us all and some of the ducklings even fell asleep! 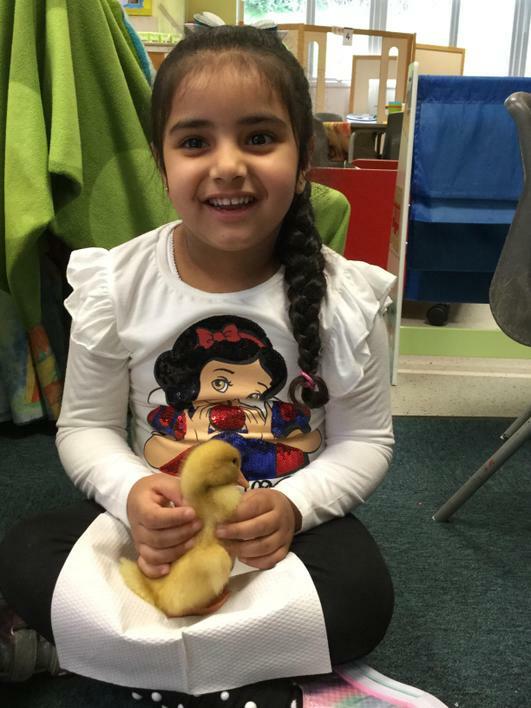 It has been so much fun looking after our 5 ducklings, watching them grow and learn.